Baku - Mercedes on Monday said it is not right to conclude that Lewis Hamilton struggled with his engine settings in Baku because he is less studious than Nico Rosberg. The story had emerged after the Azerbaijan race, when team chairman Niki Lauda said Rosberg struggled with a similar problem in the race but managed to quickly solve it himself. Hamilton, however, pleaded with his pitwall for help amid the radio communication clampdown, ultimately taking 12 laps to fiddle with his steering wheel settings to get back to full power. But a Mercedes source told Auto Motor und Sport on Monday: "It was our fault. We had incorrectly calibrated the maps." HAM?? : "I'm going to change everything in this car" ?? Senior engineer Andy Shovlin confirmed: "Even we needed a couple of laps to understand what was going on and how to resolve it." So Lauda now says: "Lewis was in the middle of battle and had a lot more pressure to find the right switch than Nico did." HAM: "You guys have to reset this thing!" Mercedes: "The problem is with the current mode you are in"
HAM: "I have no idea what you mean"
Not only that, Rosberg's fix was made easier because he actually changed a setting, and was fairly immediately told by Mercedes that something was wrong. "Nico and Lewis had technical problems. Nico fixed it first." Mercedes confirmed: "The FIA allowed us to tell him that something was wrong. It was therefore easy for him to conclude that he should go back to the old mode." 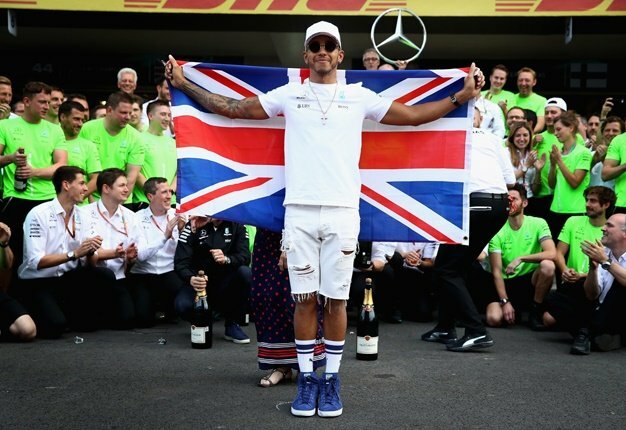 Team boss Toto Wolff said: "It would be unfair to compare the drivers like that. "Nico did a good job, but he got the information that helped him quickly, while Lewis did not."